Working with QS Faithful and Gould, Structural Engineers Fairhurst, Services Engineers TUV SUD and Landscape Designers Wardell Armstrong, has completed and been handed over to Aberdeen City Council. The building was traditionally procured and delivered by Contractor Morgan Sindall Construction. 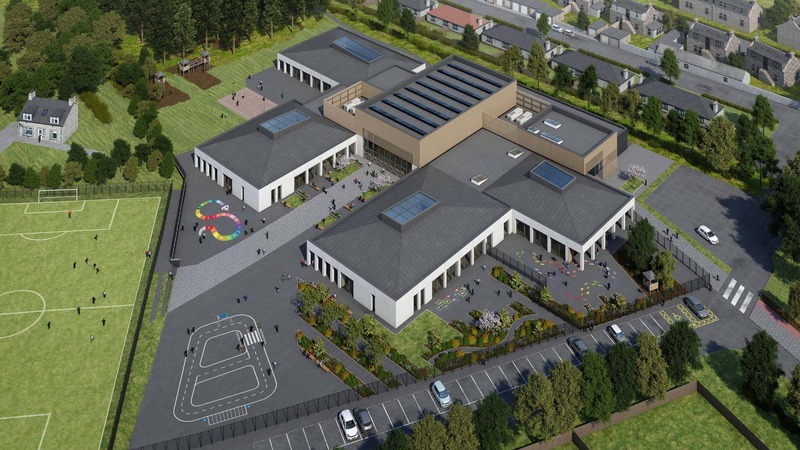 Funded through the Council's five-year Capital Programme, the £13 million school consists of a two stream Primary School and 60 place Nursery and is located on the site of the former Bankhead Academy. 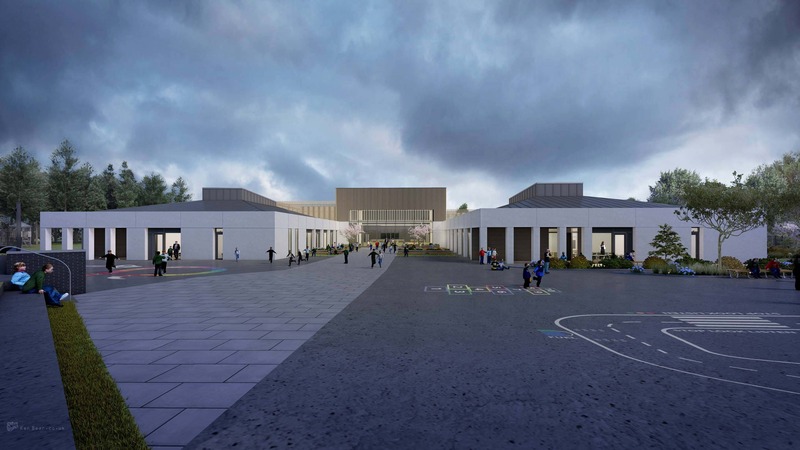 The new state-of-the-art school building is conceived around the strongest sustainable design principles, being one of the largest cross laminated timber education buildings delivered to date in Scotland. As a direct result, the calm and spacious aesthetic deriving from the building form delivers a light, modern, natural feeling, healthy learning and working environment for the primary and pre-school stages for the community. The school design has been developed around a school heart concept, with a series of elegant ‘lantern’ teaching pavilions embracing the core community and assembly spaces. Each pavilion is generated around a spacious top lit collaborative activity area encircled by classroom teaching spaces. Every teaching space in turn, directly extends and reaches out into the external teaching environment. Education provision is delivered across 16 classrooms within the single-storey building, each with direct access to the external landscape, which includes a sensory garden, a woodland walk, sports facilities and a new 7 aside 4G synthetic pitch. In addition to the class, gym, dining, assembly and support areas the accommodation also provides for space integrated flexible teaching areas, future-flex cloakroom areas, a library and a sensory room. 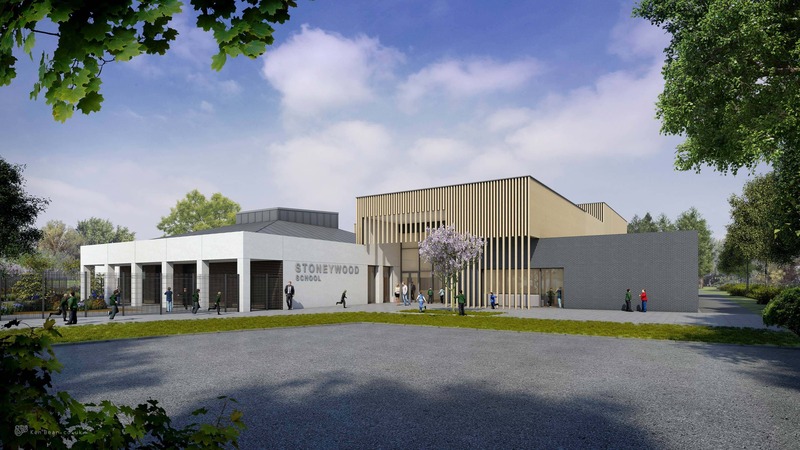 Director of Scott Brownrigg’s Edinburgh studio, Alex Donaldson said of the completion: “Stoneywood School is a potent example of the power of open and inclusive collaboration. Aberdeen City Council had a clear vision for Stoneywood and the Scott Brownrigg team and Morgan Sindall worked closely with the Council and key stakeholders to ensure this vision became a reality. The school is finished in natural aggregated panels, larch timber, slate brick and anthra-zinc, nestling sensitively in to the site’s mature tree lined environs. Sports provision, learning and play space, amphitheatre seating area and a woodland walk were conceived for this project to integrate outwardly to the mature boundary and inwardly to the court playgrounds to provide a tree or sky lined backdrop no matter where you are in the school. The school opened in August ready for the new school year.